What started out as a solo project of bare bedroom recordings by Ryan Lynch has garnered immediate blog buzz due to Lynch’s previous guitar work with Girls — the Bay Area band whose Elvis-Costello-channeling Album ranked among last year’s most acclaimed records. For this official debut EP, Lynch has been joined by vocalist/keyboardist Hannah Hunt. On “Run Like Hell for Leather”, the street-busker strumming that marked the earlier works is now augmented by both programmed and hand drums of a tropical flavor as well as boy-girl harmonies that call to mind the Vaselines. The title track further bolsters the otherwise stripped-down sound with buoyant synths, while “About My Girls” (stream below) boasts a whirling hook behind Hunt’s dreamy coos and Lynch’s wistful croon: “I just can’t seem to forget/About my girls”. After the jump, check out an acoustic performance of “Clawing Out at the Walls”, filmed in some idyllic yet subtly industrial hideaway — a setting that perfectly befits this band’s evolving aesthetic. Buy this at iTunes. 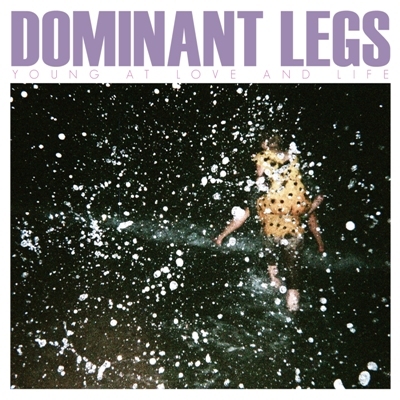 And be sure to check out Dominant Legs as they open for Mystery Jets in New York and Los Angeles later this month.